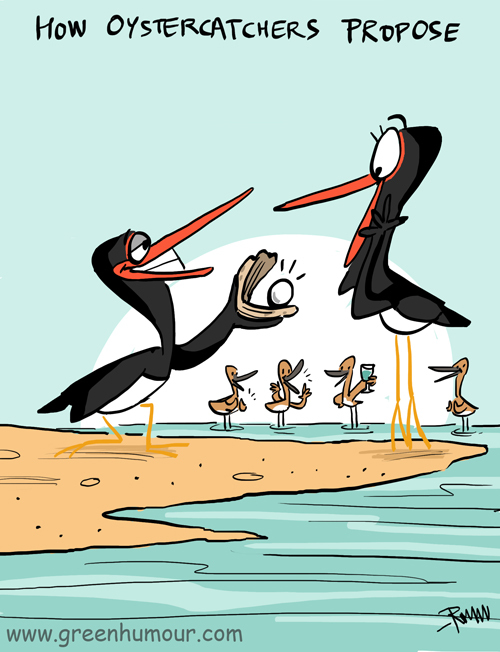 Oystercatchers are spectacular pied waders with orange bills, that feed on their namesake, oysters and other molluscs. In India, they visit beaches and mudflats along the coasts in winter months. The cartoon appears in my Gocomics page.